Use this versatile instrument as a timer, stopwatch, or clock. The large digit display shows all three values clearly. Choose between a 12 or 24 hour clock display. 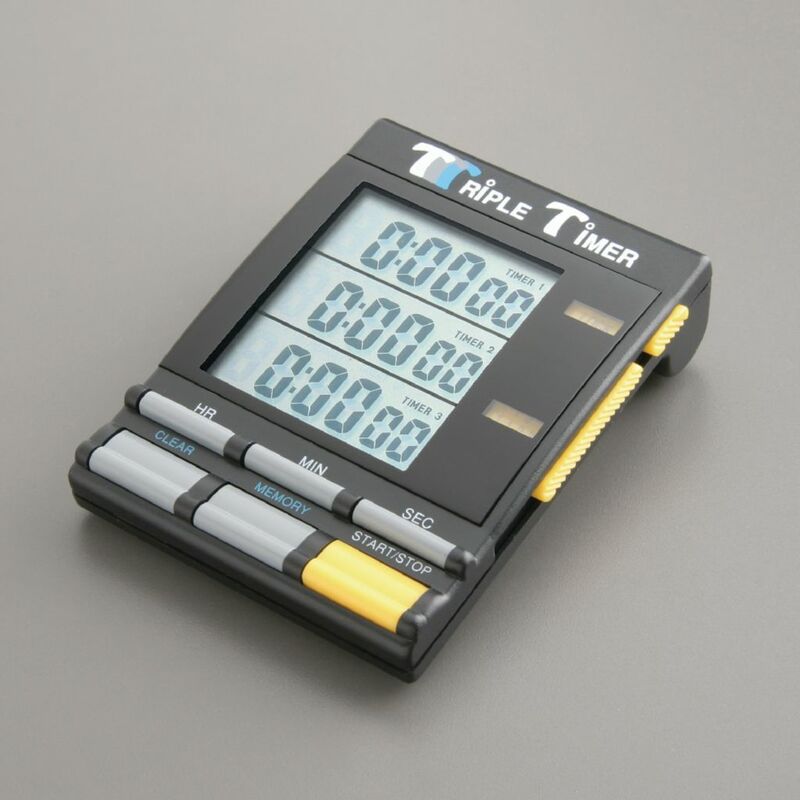 Timer features count down from 19:59:59 or up to 19:59:59 with a 1/100 second stopwatch precision. Requires one “AAA battery” included.